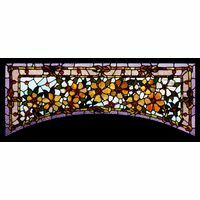 Transom - Stained Glass Inc. 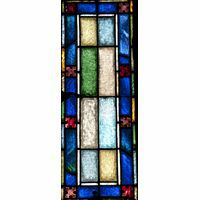 The transom is the window that is above the doorway. 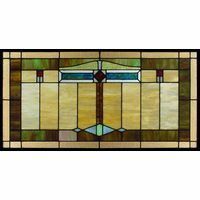 The transom windows shown here can be either rectangular or half-round windows. 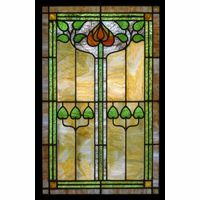 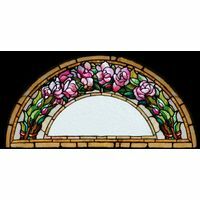 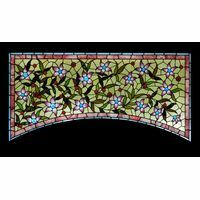 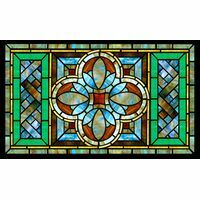 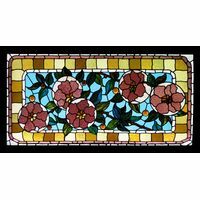 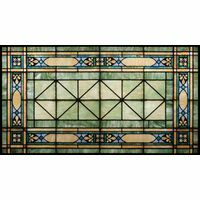 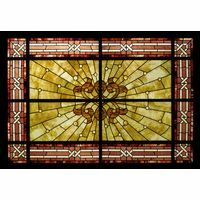 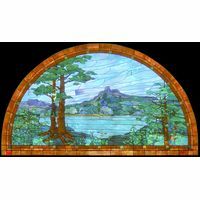 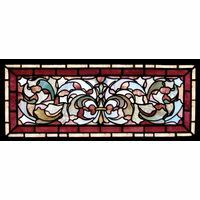 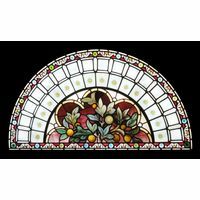 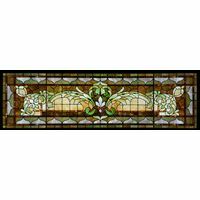 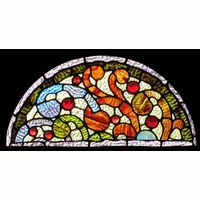 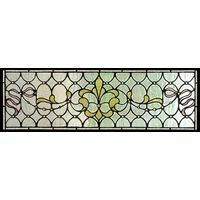 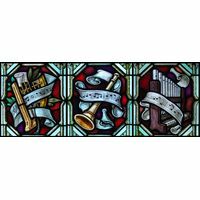 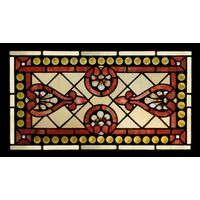 Here you will find a variety of transom stained glass panels in a range of styles, shapes and subject matter. 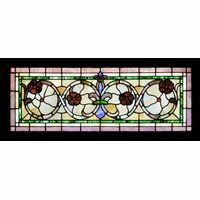 If you see a window you like, but your window is a different shape – say you see a half-round but your window is rectangular – no problem! 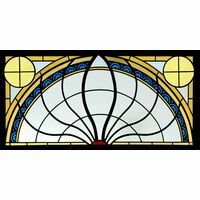 Simply contact us and we can reconfigure the window to the size and shape you need for your project.